Censorship-resistance and confiscation-resistance may be Bitcoin’s main strengths, along with transactions written to an immutable public ledger (blockchain). A distributed consensus system — or mining — is used to confirm and include transactions in the Bitcoin blockchain. In return, miners earn block rewards (newly minted Bitcoin) and transaction fees to operate their systems. Full nodes validate transactions and blocks. This type of sound money could lead to a Bitcoin standard in the future. Below are 3 ways to earn free Bitcoin right now by doing what you do anyway: checking your email, turning on your computer, and shopping. 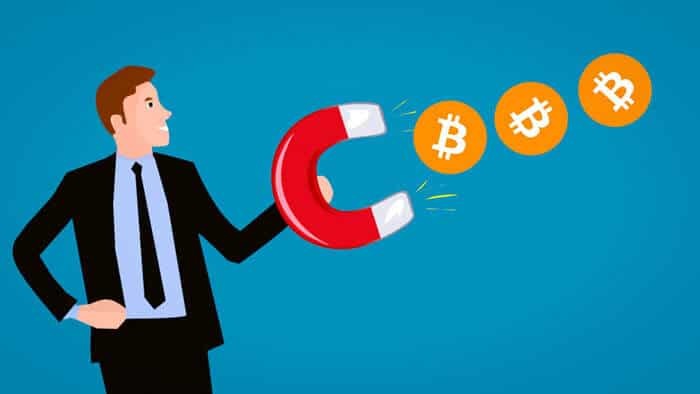 Doing so not only puts Bitcoin in your own wallet, it encourages mainstream adoption and strengthens the Bitcoin ecosystem. Earn.com is an email inbox that pays you in Bitcoin. People and companies send you paid messages to compensate you for the time it takes you to respond (only if you want to respond). 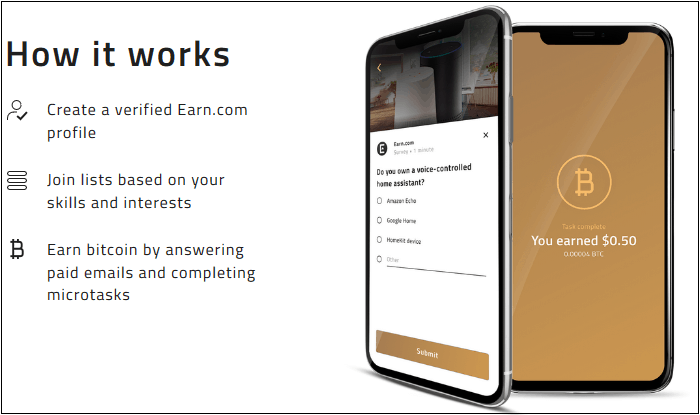 Not only is it an email inbox that pays you in Bitcoin, but Earn.com also offers opportunities to earn more Bitcoin by completing microtasks. 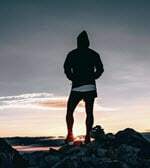 Join lists of people with similar skills to increase your microtask opportunities. Keep the Bitcoin for yourself, or donate it to pre-selected charities. Visit Earn.com to claim your Earn.com profile. Years have passed since it made financial sense to mine Bitcoin on a desktop or laptop computer. Honeyminer uses your computer’s CPU and/or GPU to mine altcoins (such as Ethereum, Monero, Zcash, Feathercoin, etc.) instead of Bitcoin. It then automatically converts the mined altcoins to Bitcoin (Bitcoin is BTC) and sends the BTC to your own Bitcoin wallet. According to their website, “Honeyminer’s proprietary algorithm will scan through dozens of cryptocurrencies to identify the most profitable coins to mine at any given time.” Get Honeyminer to convert your computer’s spare resources into Bitcoin. Lolli lets users earn free Bitcoin when shopping online. Amassing partnerships with more than 500 top brands makes it easy for Lolli users to earn up to 30% in Bitcoin rewards at the time they check out. A Lolli browser extension informs users when they land on a partner site. The extension displays a Bitcoin reward percentage they can expect to receive from shopping there. But Lolli is more than a Bitcoin rewards program. CEO and co-founder, Alex Adelman, is on a mission to “make Bitcoin accessible to all.” Today, access to Bitcoin seems limited to those who have the resources to buy expensive mining equipment, rack space, and electricity, or through investing. Lolli gives everyone a chance to get involved in Bitcoin for free by doing what they already do — shopping online. They encourage Bitcoin participation through online shopping and saving (HODLing!) the Bitcoin they earn too. 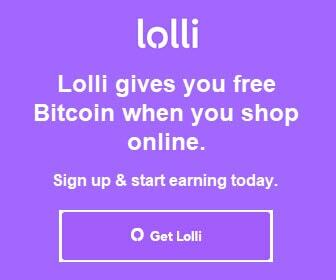 Get Lolli to earn free Bitcoin when you shop online. Thank you for visiting Tech Help Knowledgebase to learn 3 ways to earn free Bitcoin by doing things you already do. Some links in this article are referral links. You and/or Tech Help Knowledgebase may both receive some benefit by clicking those links.